Within: BEAUFORT04 The Triennial of Contemporary Art by the Sea. A reflective, small but intense, miniature installation which confronts stereotypes of individuals from various backgrounds with the issue of climate change in different ways. Passivity is transformed into a reflective creative action that speaks with no words. Cordal’s ‘waiting for climate change’ was developed for the fourth triennial of contemporary art by the sea in 2012, beaufort04. 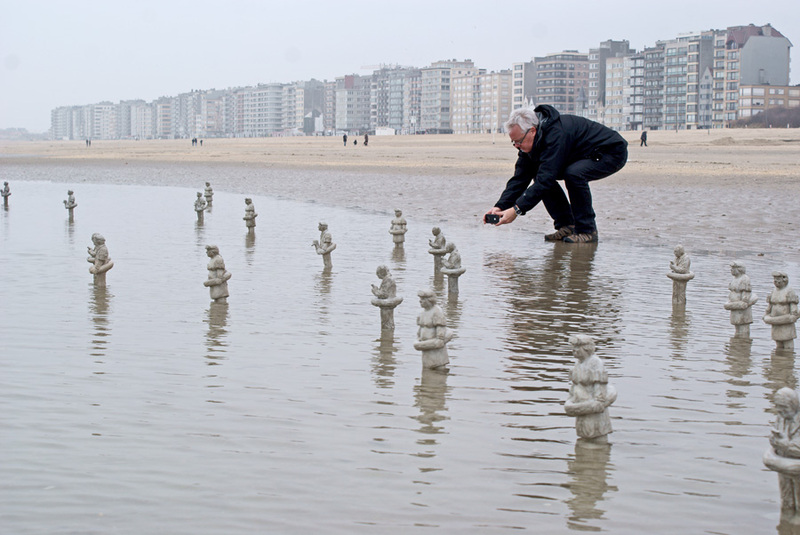 Tags: Isaac Cordal. Bookmark the permalink.